Paco Alcacer scored twice late in the game to gave Borussia Dortmund a 2-0 victory over Wolfsburg and put them two points clear at the top of the Bundesliga. Alcacer fired a 90th minute free kick from the edge of the box and added another in stoppage time to lift Dortmund to 63 points, with Bayern, whom they face next week, on 61 after their 1-1 draw at Freiburg. Bayern Munich have returned to the top of the table with this victory over Wolfsburg. 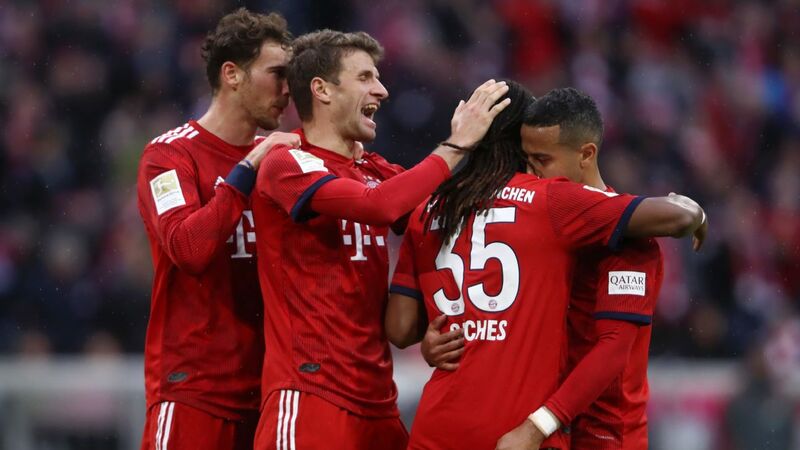 Four days before they host Liverpool in their Champions League last 16 second leg, the Bavarians were brutally efficient, scoring twice in three minutes through Serge Gnabry and Lewandowski late in the first half to take control. Matheus Cunha's goal after just nine minutes would be all RB Leipzig would need to down Wolfsburg and advance to the German Cup quarterfinals.